Soar to new heights with a very light jet rental. Charter Jet One offers very light aircraft charter to get you where you need to be as quickly as possible. Our fleet includes a variety of planes, including Cessna Citation M2, Embraer Phenom 100 and HondaJet, all expertly sourced to provide you with safe and efficient transportation. A very light jet — or a VLJ — is an entry-level class of personal jets. Our very light aircraft charter includes a handful of models that were previously known as micro jets. These very light jets are small private jets that have revolutionized both corporate and personal travel alike. Charter Jet One offers a wide variety of luxury jet rentals, including the light jet aircraft category, which is approved for single-pilot operation, comfortably seating 4-8 passengers, with a maximum take-off weight of under 10,000 pounds (4,540 kg), these personal jet aircraft are a convenient method of making any get-away pleasurable. Very light jets are deemed lighter than other models due to the fact that the engine size is slightly smaller than an aircraft commonly referred to as business jets. Small jets are designed to be flown by single pilot owners, or via a very light jet rental, and maintain a lower operating cost than conventional jets. The Cessna Citation M2 is the perfect aircraft for your private very light jet rental or corporate business trip. Two powerful Williams FJ44 engines facilitate a cruising speed of up to 400 knots. The interior layout provides seating for up to 7 passengers to work and relax comfortably. 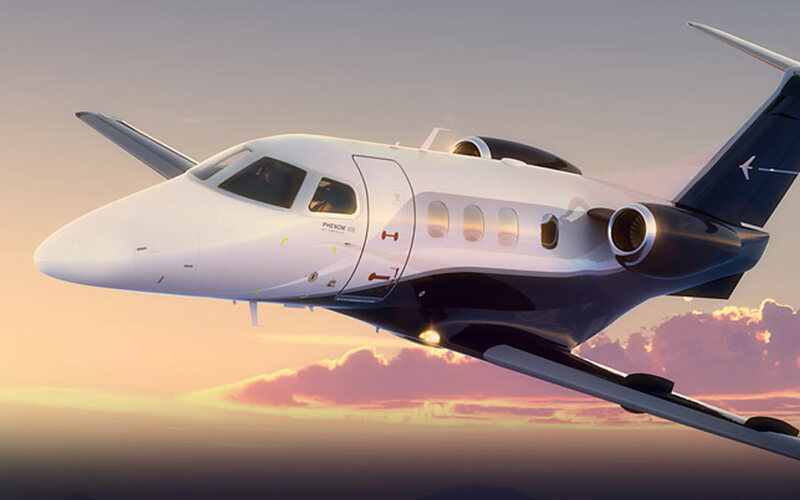 The Embraer Phenom 100 is an entry-level high-performance jet that fits up to 7 travelers and offers remarkable cabin comfort with the cost and efficiency of a turboprop. A spacious cabin and optional premium seats have full movement capability giving executives full control, whether looking to work or get some rest. The Embraer Phenom is an ideal choice for very light aircraft charter flights. 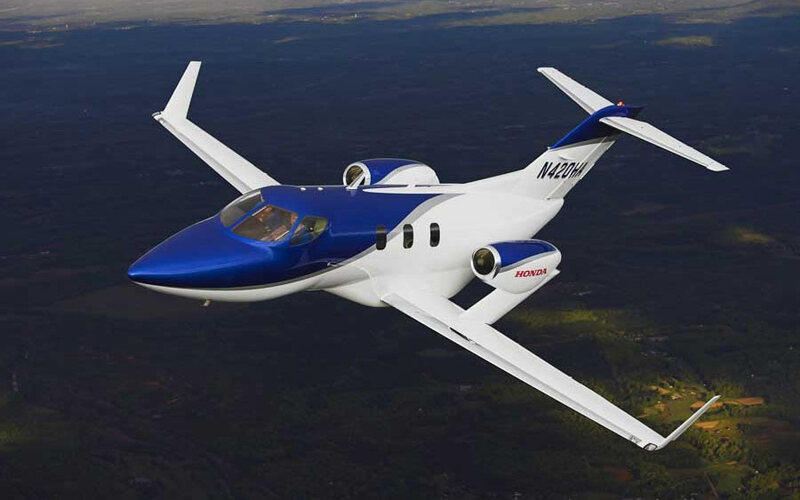 The HondaJet is the first private jet manufactured by the Honda Aircraft Company and has already become one of the world’s most advanced light business jet. This jet offers more room and less noise, climbs higher and cruises faster and uses less fuel. The over-the-wing engine mount on the HondaJet both reduced noise emission and increased fuel efficiency. Charter Jet One provides a best-in-class service offering with the fastest private jets available on the market today with the very light jet being a premiere option for economical, accessible and enjoyable jet rental travel. 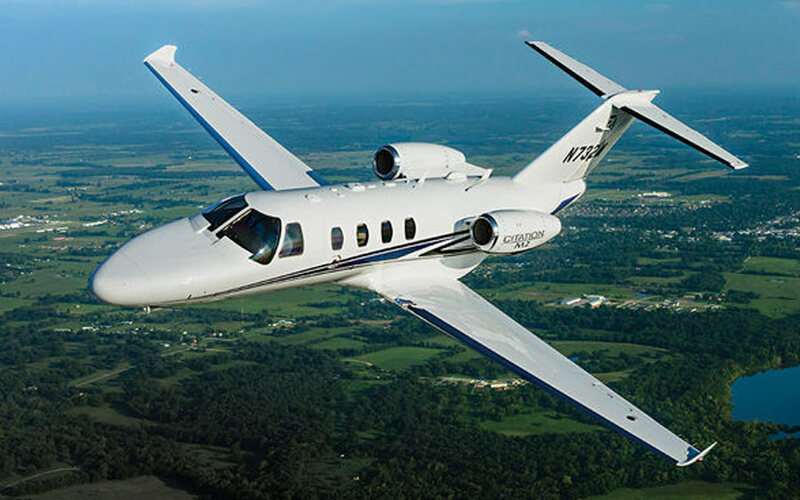 Ideally suited for shorter destinations of 1,260 miles, the light jet is perfect small private aircraft for quick business meetings and offers the benefit of concierge care to their clients. Whether it’s from Denver to Aspen or Las Vegas to LA, we guarantee that you will fly comfortably with a luxury private jet experience. The technological advances seen in recent time make it more and more financially feasible to travel in personal jet airplane. Renting a private jet with Charter Jet One has never been easier thanks to an array of very light aircraft charter options designed to fit your needs. we have the best private jets on the market today. Whether you are looking for a low-wing monoplane with a conventional design like the HondaJet, developed by Honda corporate, where performance and efficiency are the standard of air travel, to a 500 airframe with a PW610F engine, like the models designed by Eclipse Aviation, now One Aviation run by a team of industry pioneers dedicated to engineering the most compelling aircraft for the modern traveler, to the Cessna Jets, which encompass seven distinct models of private planes, is known for its dependable and efficient performance, or the LearJet, where innovation and the business jet experience truly begin. At Charter Jet One we have the latest cutting-edge avionics to suit your business or leisure travel experience.